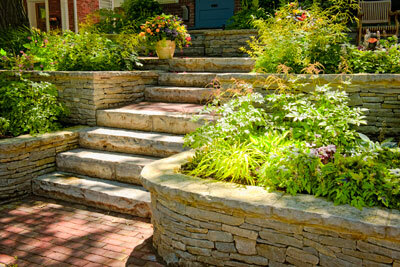 At Westfall Exteriors we know homeowners have a variety of reasons for installing retaining walls. We also understand that retaining walls must be built properly and made to last. Our experts examine the soil pressures and ensure the wall has stability. We don’t consider a retaining wall that tilts or cracks to be a successful landscaping retaining wall and nor should you. We understand that the complexity of the landscape retaining wall depends on the size and scope of the area. Retaining wall landscaping requires a reliable design that will work well over time and that is what we deliver. improve the look of your landscape design. 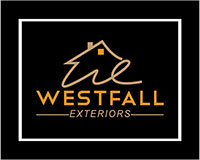 Call Westfall Exteriors today to find out how we can help you create a retaining wall built to last. Complete the form on this page to receive a free, no-obligation, on-site estimate at your convenience.